Will Apple Make the Superbrands Look Like Small Beer? Posted March 8th, 2012 by David Porter & filed under Social. For many commentators, technology is the new religion of our times. And perhaps nowhere is the awesome power and majesty of technology better seen on display than in how it creates superbrands in the world economy. Some succeed, some fall by the wayside. But brands are what everything is about these days. They (the brands) persuade us all as spenders, that their brands are cool, must-have and essential to maintain credibility and lifestyles. Branding is truly the mega-global milk cow. Facebook, Google, Amazon – these are the giant brands of today, all technology driven, all recent inventions. Their manifestations in devices, apps, technology fusion and monopoly of the news/economic/education/retailing agendas are what dominate and add to the value of big brands in a virtuous/vicious circle of hype, selling, persuasion and excitement. As a campaign grows to save the old, humble English apple in its glorious rich, tasty, rustic variety from extinction in the face of the blander foreign cousins on supermarket shelves, the Apple corporation’s technology golden delicious superstar shows signs of decaying, some commentators believe. Or is that just wishful thinking on the part of opponents of Apple dominance? Or is it merely a glitch, an inevitable one after the death of Steve Jobs? Aren’t they just as busy launching new products as ever? Apples are still the devices of choice for millions, from smartphone users to pads and tablets to the full-blown designer models beloved of journalists, writers, architects and savvy business people. 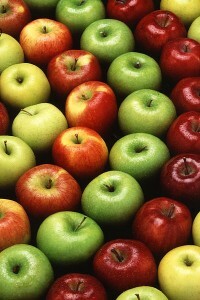 The brand value of Apple is estimated to be worth £51,970,000,000. Apple inspires loyalty (bordering on hysteria for many) that few others brands can even dream of. It’s down to quality, clever marketing, originality and reliability, but there is that indefinable something that makes them such a gigantic brand. Yet in the annual top 10 of consumer ‘superbrands’, Apple has dropped from 9th all the way down to 18th. However, in the business ranking, B2B, they climbed up one to fourth slot. But the BBC (founded October 1922) appears at number 5 in the superbrand list, Jaguar (also 1922), Dulux, (in use since 1931), the Royal Albert Hall (1871) and Wedgwood (1759) are all still going more than strong today. The Centre for Brand Analysis compiles lists of likely brands. Companies do not apply or pay for theirs to be entered. Researchers draw on sector reports, blogs and public nominations. A shortlist is considered and scored by a panel of voluntary experts and then consumers vote through a YouGov panel. The criteria for inclusion are that the superbrand must ‘have established the finest reputation in its field’ and must offer customers ‘significant emotional and/or tangible advantages over its competitors, which customers want and recognise’. Additionally, voters are asked to consider quality, reliability and distinction in the particular branded products. Among British brands in the top 500 are: the AA, British Airways, BP, Manchester United, the National Lottery, Waitrose, Boots, PG Tips, Virgin Atlantic, Madame Tussauds, Eurostar, the Eden Project, Walkers Crisps, Hovis, Alton Towers and Tescos. The way the business superbrands are voted on is broadly the same, except the final verdict is made by some 1600 individual business professionals. Other British companies outside the top twenty but in the favoured 500 included JCB, Dulux Trade, Chubb, Black & Decker, NEC Birmingham, Pilkington, Royal Mail,Travis Perkins, Heathrow Airport, Saatchi & Saatchi, Eurotunnel, Rentokil, Jewson, Moneysupermarket.com, Virgin Trains, British Gas and Viking. The startling, encouraging thing is just how many of these companies and brands are British. A BBC documentary on the evangelical nature of an Apple store opening: Secrets of the Superbrands.